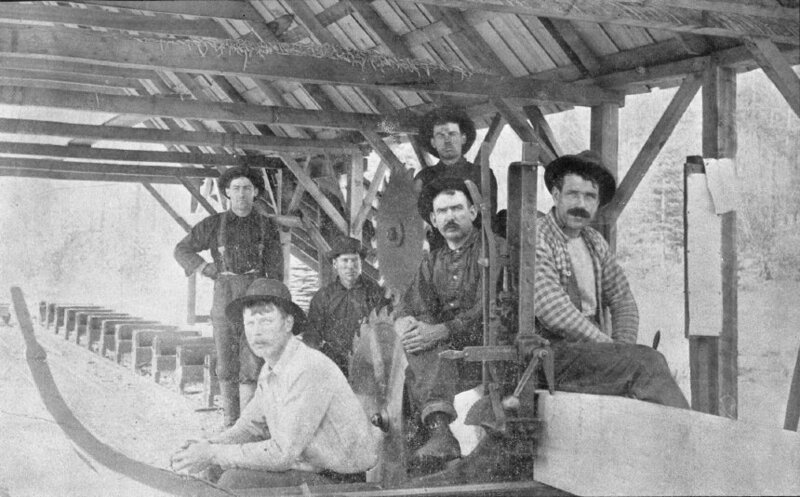 Snow Creek Mine. Falling company timber. Located one and a half miles southwest of Greenhorn City. Photo is pasted to a piece of cloth along with seven other photos. Apparently all of the photos are associated with the Snow Creek Mine. Gallery #4--TRANSPORTATION & FOREST INDUSTRY. -Snow Creek Mine. Falling company timber.